Although extensive literature supports connections between bipolar disorder and creativity, possible mechanisms underlying such relationships are only beginning to emerge. 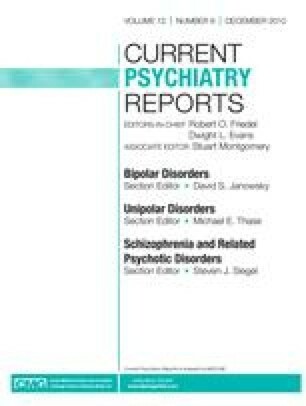 Herein we review evidence supporting one such possible mechanism, namely that personality/temperament contribute to enhanced creativity in individuals with bipolar disorder, a theory supported by studies showing that certain personality/temperamental traits are not only common to bipolar disorder patients and creative individuals but also correlate with measures of creativity. Thus, we suggest based on studies using three important personality/temperament measures—the Neuroticism, Extraversion, and Openness Personality Inventory (NEO); the Myers-Briggs Type Indicator (MBTI); and the Temperament Evaluation of the Memphis, Pisa, Paris, and San Diego Autoquestionnaire (TEMPS-A)—that changeable (increased TEMPS-A–cyclothymia) and at times negative (increased NEO-neuroticism) affect and open-minded (increased NEO-openness) and intuitive (increased MBTI-intuition) cognition may contribute importantly to enhanced creativity in individuals with bipolar disorder. Dr. Ketter has received grant support from NARSAD. Dr. Ketter has served as a consultant for Abbott Laboratories, AstraZeneca, Astellas Pharma US, Bristol-Myers Squibb, Cephalon, Dainippon Sumitomo Pharma Co., Eli Lilly and Company, Forest Laboratories, GlaxoSmithKline, Janssen Pharmaceutica, Jazz Pharmaceuticals, Merck & Co., Novartis, Organon International, Sepracor, Solvay Pharmaceuticals, Valeant Pharmaceuticals International, Vanda Pharmaceuticals, Wyeth, and XenoPort; has received grant support from Abbott Laboratories, AstraZeneca, Bristol-Myers Squibb, Cephalon, Eli Lilly and Company, GlaxoSmithKline, Pfizer, Repligen Corp., Sepracor, and Wyeth; has received honoraria from Abbott Laboratories, AstraZeneca, Bristol-Myers Squibb, Eli Lilly and Company, GlaxoSmithKline, Noven Pharmaceuticals, Otsuka America Pharmaceutical, and Pfizer; has received royalties from American Psychiatric Publishing; and has had travel/accommodations expenses covered for attendance at consulting meetings by Abbott Laboratories, AstraZeneca, Astellas Pharma US, Bristol-Myers Squibb, Cephalon, Dainippon Sumitomo Pharma Co., Eli Lilly and Company, Forest Laboratories, GlaxoSmithKline, Janssen Pharmaceutica, Jazz Pharmaceuticals, Merck & Co., Novartis, Organon International, Sepracor, Solvay Pharmaceuticals, Valeant Pharmaceuticals International, Vanda Pharmaceuticals, Wyeth, and XenoPort. Dr. Srivastava reported no potential conflicts of interest relevant to this article.